• On-site detention or OSD tanks are concrete structures designed to drain and retain stormwater. • An OSD tank is a way to store stormwater temporarily to control the rate of run-off and lessen the risk of overload. • As you can imagine, the size of tank you need depends on the size of your site – our expert team can advise you on the product that will best meet your needs. • S&L Concrete covers every aspect of your OSD tank installation, including construction of the base slab, the suspended tank lids and drainage pits. 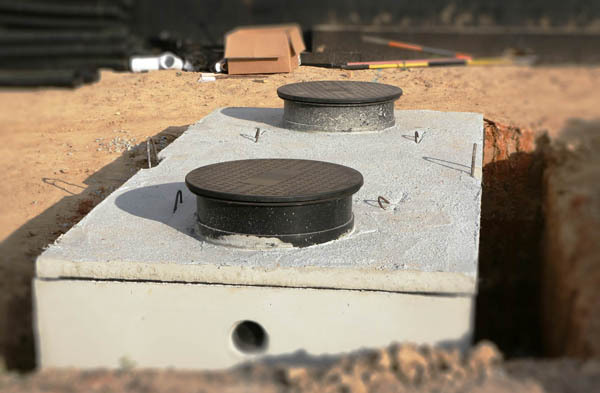 OSD tanks, otherwise known as on-site detention tanks, are concrete structures designed to drain and retain stormwater. OSD tanks work by providing temporary storage for stormwater on your site. The size of the tank you require will depend on the size of the site in question. By having an OSD tank present, you can easily control the rate of run-off to reduce the risk of overload. Our professional team can carry out every aspect of your OSD tank installation job. From the initial construction of the base slab to the suspended tank lids and drainage pits, you can be sure that you’re getting a thorough and complete service when you choose S&L Concrete. Areas serviced: Greater Western Sydney, including Penrith, Blue Mountains, Hawkesbury, Hills District and Blacktown.